A few students have been enquiring in the past so it is only fair that I have a write up about the carrots of Martial Arts (the belts). Each belt comes with a black tab, you will receive up to 4 stripes on each belt. 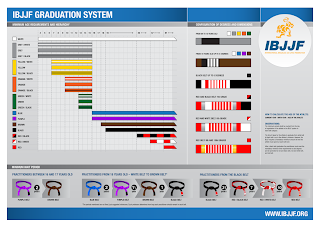 BJJ is notorious for waiting for a long time between belt so it is nice to receive one stripe once in a while (Hint, it usually happens during graduation time every 6 months which are traditionally held in June and December). However, we do give stripes outside the graduation ceremony. To be honest, I would rather have one grading ceremony per year so we can just concentrate on training instead. It is not required to have the complete 4 stripes in order to move to the next belt. The complete 4 stripes does not guarantee you that you will be promoted automatically to the next belt as well. Your instructors will discuss and assess the students during training and will decide who is ready to do the exam for the next belt. It is mostly a formality than a test. We like to promote you during graduation ceremonies which are held twice a year. Of course, we will make expectation and can grade you outside the usual grading ceremony. However, Stu does not want me to promote you during the Xmas BB party. In the recent years, it seems the minimum time requirements are shortening as per the IBJJF website. I would rather keep it more traditional and would like students staying longer at each belt. I am talking about one stripe per 6 months of regular training. 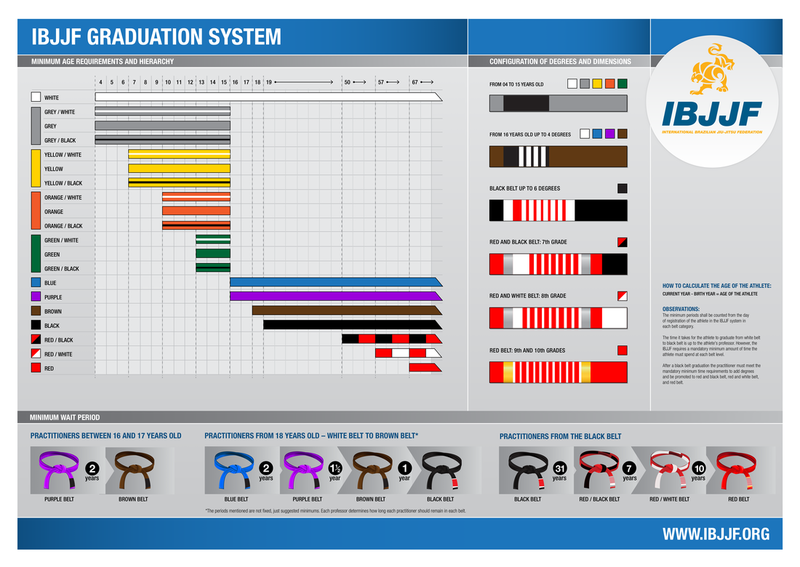 4 stripes equals 2 years, then you are due for the following belt on the next graduation. It would mean 2.5 years per belt, 10 years to Black Belt. It is not that bad but I have even seen worse: proud white belt students bragging about being training for 4 years, blue belts training for 6 years etc.. I must admit that such stingy policy has many disadvantages. Sometimes it is the fault of the instructor and sometimes, they don't have an instructor to promote. I don't really want to criticise someone else grading system. It seems that the higher you go up the ranks in Martial Arts, the more you are required to criticise others. So be consistent in your training attendance, get a black tab on your belt (otherwise we can't give a stripe). If you cannot attend grading ceremony, you will award your stripes during normal classes instead. 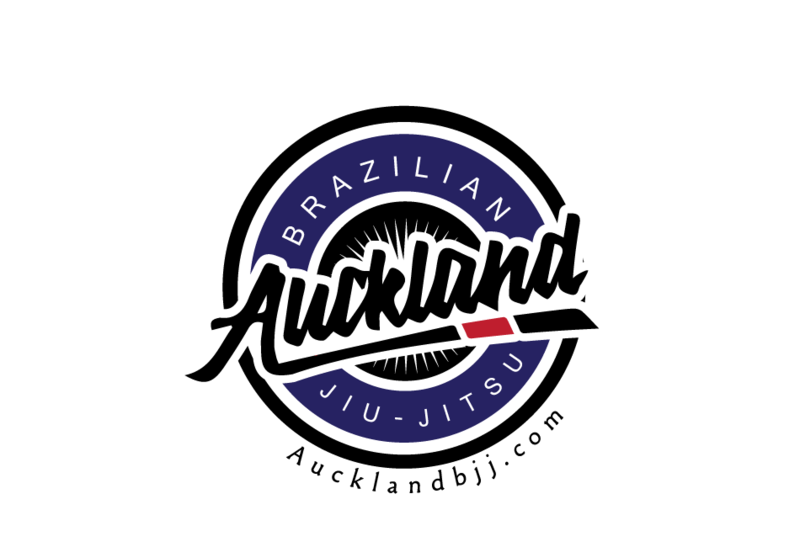 Hopefully, it should not take you 10 years to your BJJ Black Belt. As you can see in below, minimum time requirements are different.